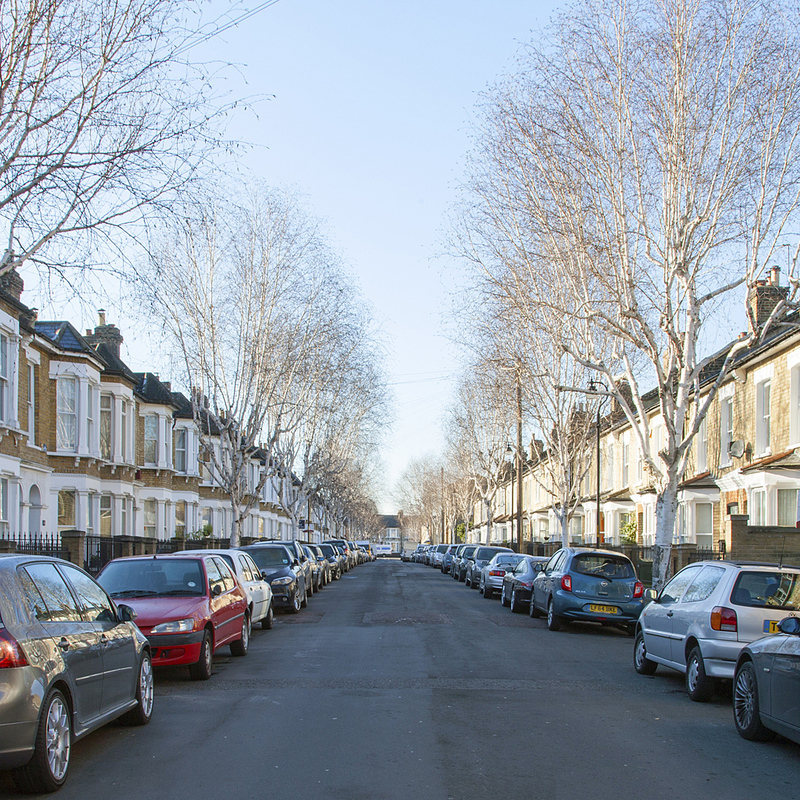 Did you know that London is home to around 900,000 street trees? 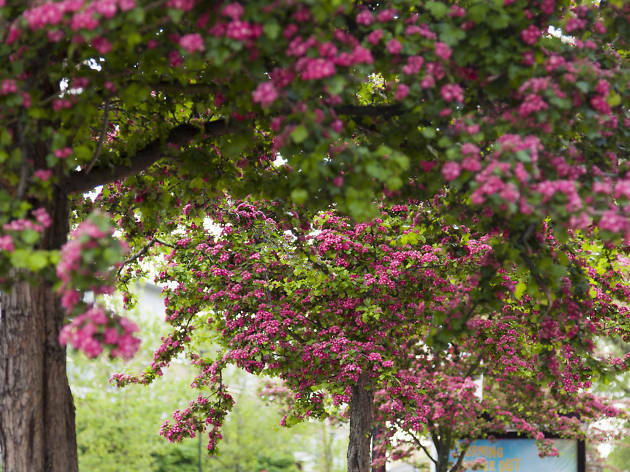 There are hundreds of different species to be found around town, but here author of the blog London’s Street Trees Paul Wood picks nine of his faves. 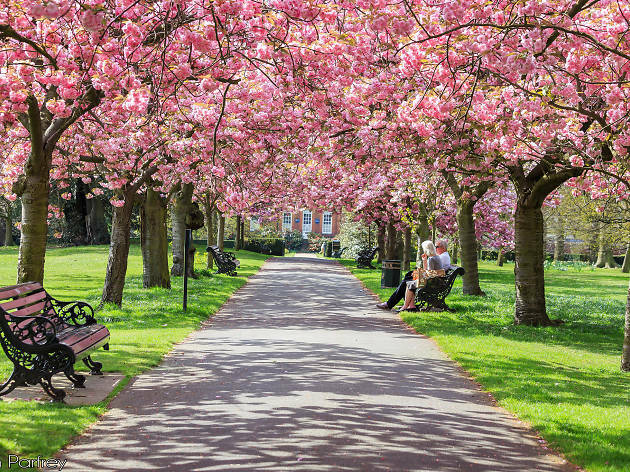 See if your local oak or cheery cherry blossom made the list. If not, there’s no harm in branching out. If you’re after more London nature, look out for the bluebells that will be sprouting up in London's forests in April. Or walk into a field of purple haze when London’s lavender arrives in August. 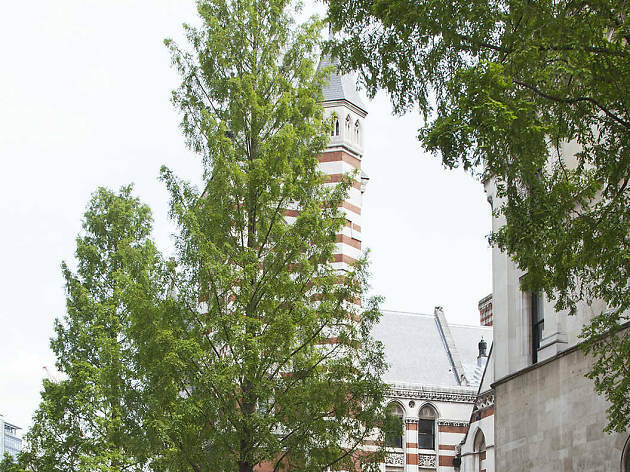 Paul is leading street tree walks in Hackney and Pimlico with the Museum of Walking in February. He is the author of ‘London’s Street Trees: A Field Guide to the Urban Forest’ and The Street Tree blog. Find him on Twitter @thestreettree. Bursting into bloom as early as January in some years, the Pimlico mimosa not only looks stunning, its blossom smells great too, with a delicate floral scent. Mimosas are more usually seen in parks and gardens, but street trees can also be found in Mayfair and Hackney. Carey Street runs behind the High Court and boasts an entire row of dawn redwoods, remarkable trees that are deciduous conifers – meaning they lose their leaves, or needles – during the winter. 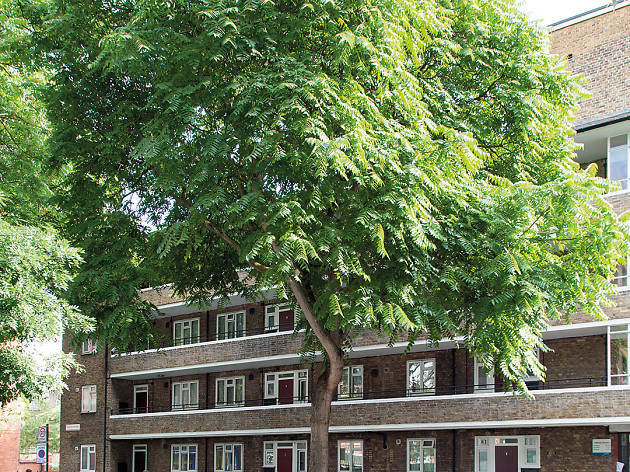 As street trees, dawn redwoods are popping up everywhere: you might find them in New Cross, Elephant and Castle and Chelsea. They also line the A4 through Hammersmith and Chiswick. 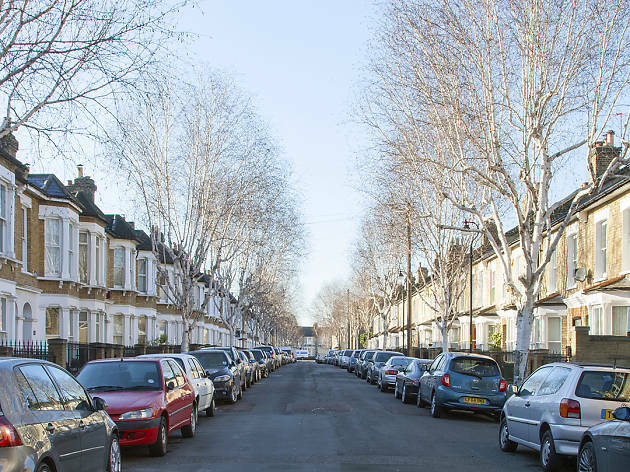 Peckham is home to some fine birch tree avenues, which can look at their glistening best in winter when they show off their white bark. 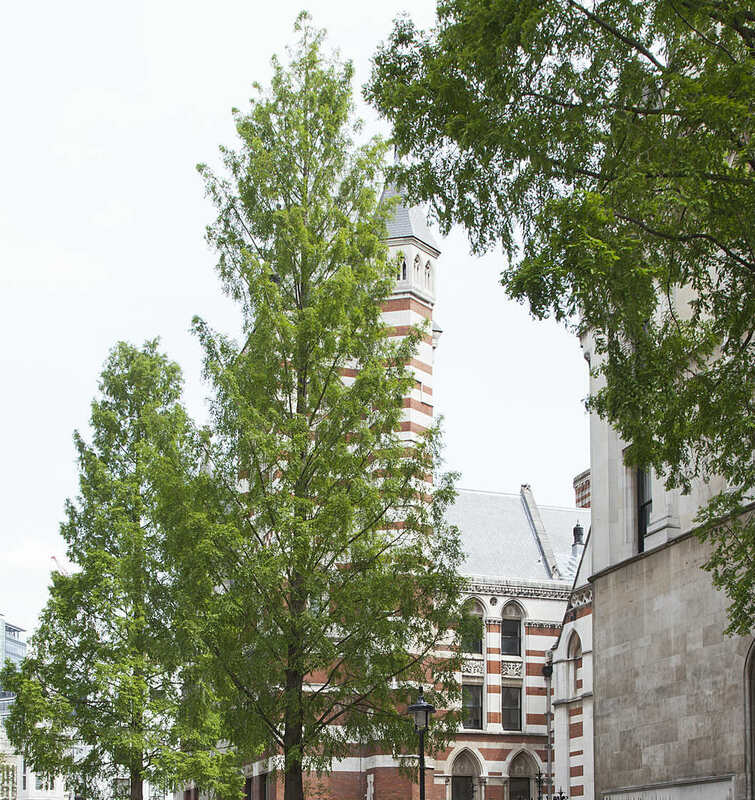 The birch species with the whitest bark of all is the Himalayan birch – now the most frequently planted in London too, even more so than the familiar silver birch. 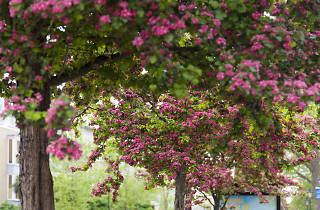 The London borough of Hackney is home to the most diverse selection of street trees anywhere in the city. 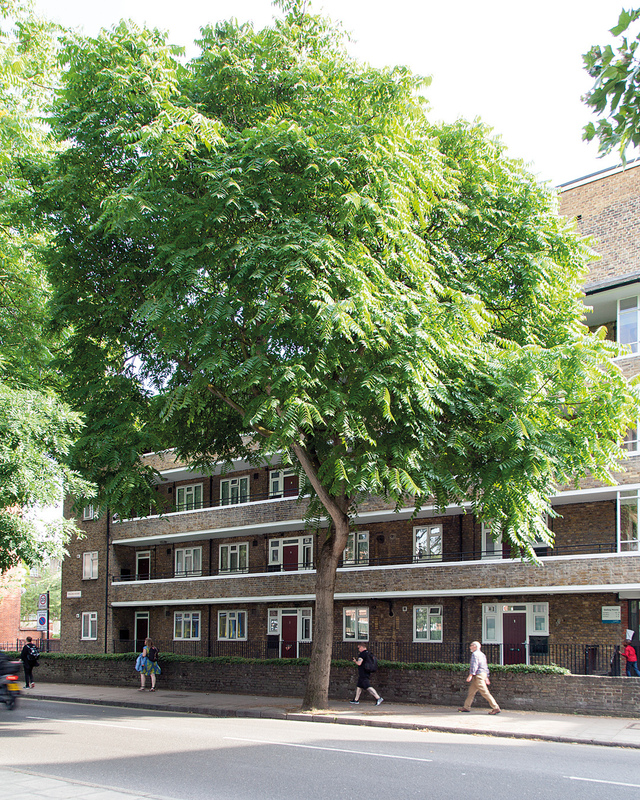 There are hundreds of different types of trees to be seen in every corner of this East End borough. 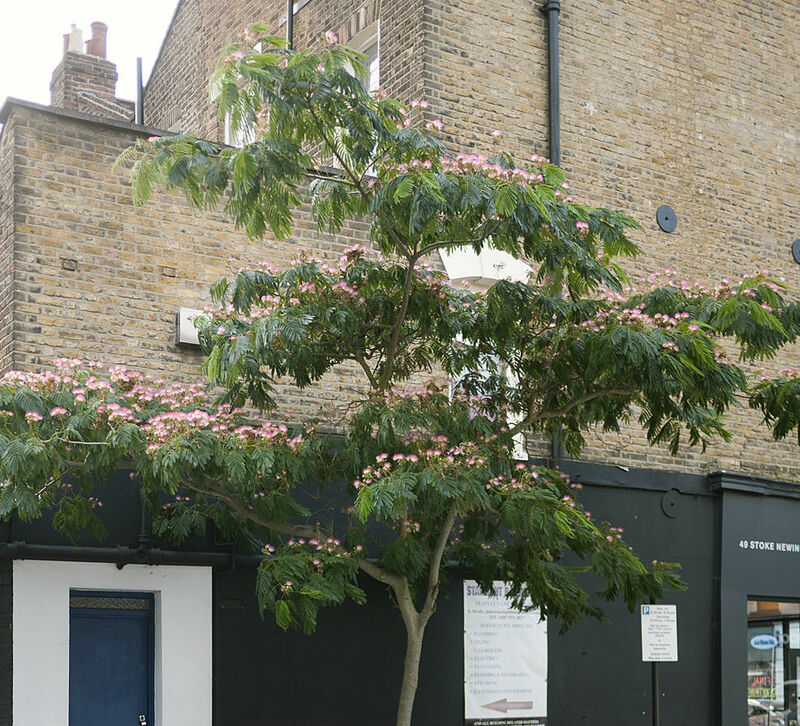 One of the highlights is this unusual Persian silk tree in Stoke Newington that bursts into flower with feathery pink blooms in late July. Not in Hackney? Another one can be found south of the river in Dulwich Village. 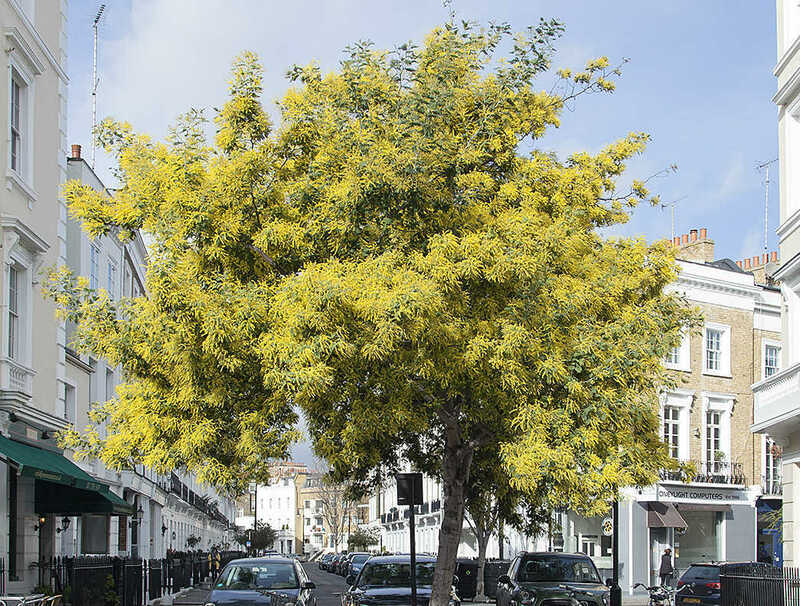 Perhaps the tallest street tree in London can be found opposite The Wells Tavern in Hampstead, which is an ideal spot to admire it from. 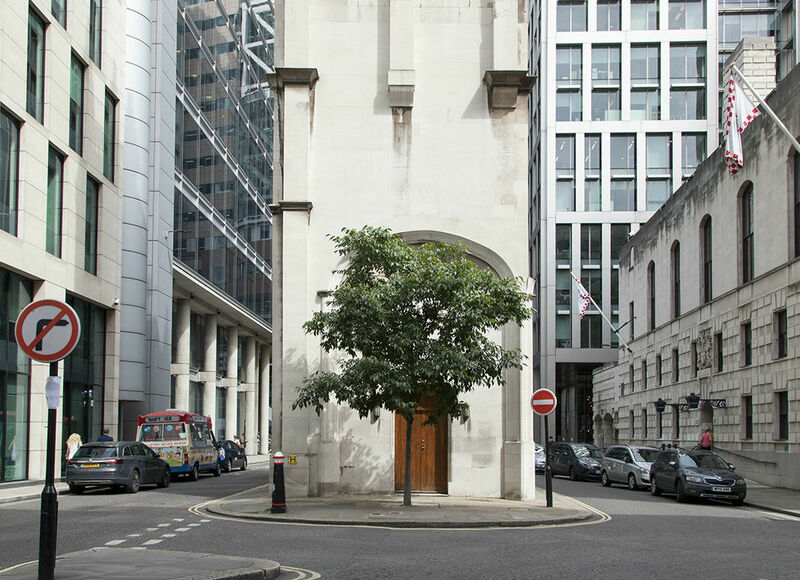 Appropriately enough, it’s a London plane, and it looks like it’s been here for at least two centuries. In fact, this tree is now so big it completely blocks the footpath so it’s a good job it’s not a busy road. 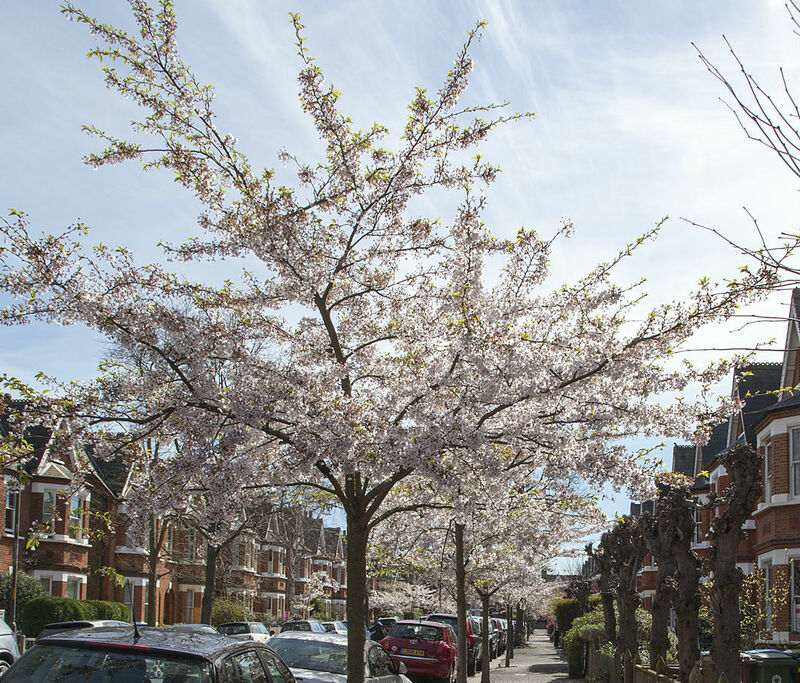 One of the best cherry tree avenues in London can be found a stone’s throw from Herne Hill station. 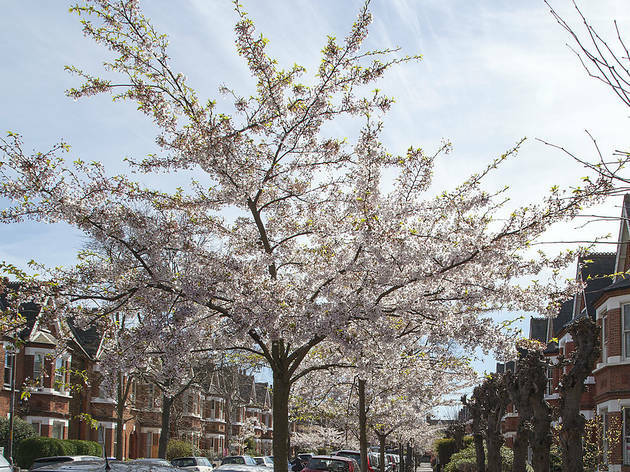 Winterbrook Road is planted entirely with the unusual Japanese ‘Yoshino’ variety, with masses of white blossom usually appearing around the last week of March. 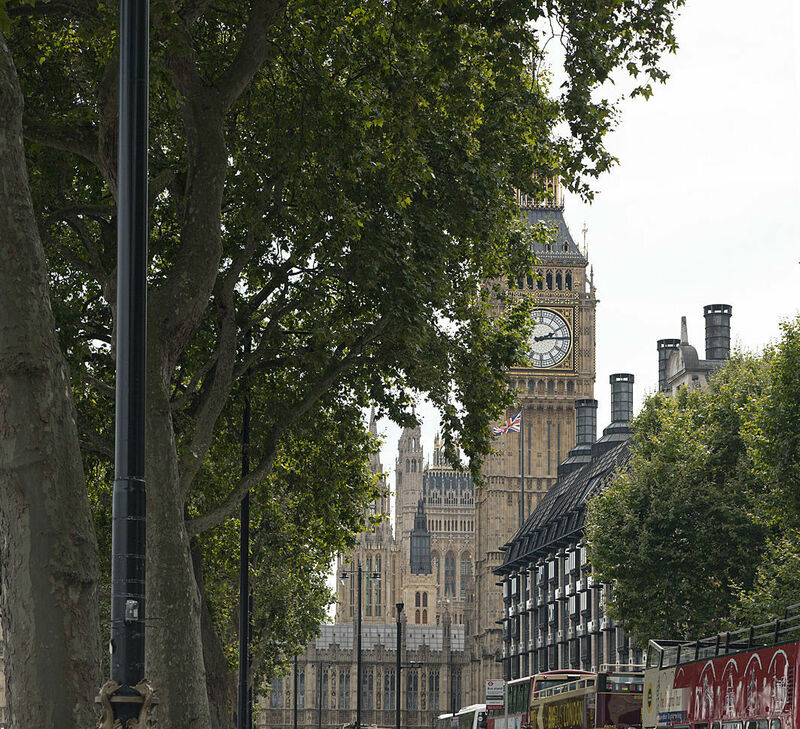 Yoshinos are the most common urban tree in Tokyo, and glorious avenues can be seen in Washington DC too, so surely it’s high time London caught up? When the Embankment was built in 1870 from Westminster to Blackfriars, it was the first thoroughfare in London to be systematically planted with street trees. 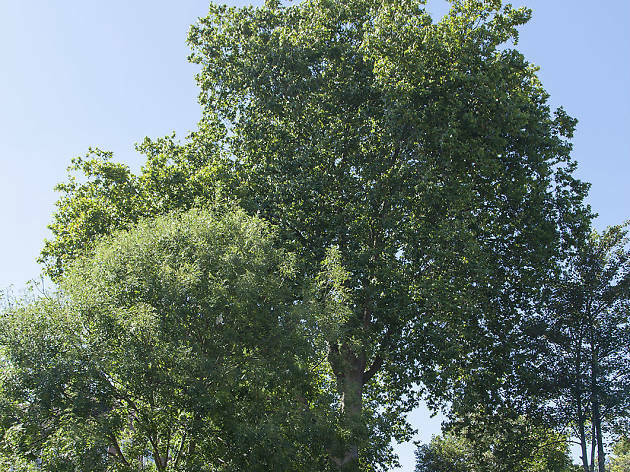 Almost 150 years later, those trees – London planes – have mostly survived intact despite two world wars and decades of pollution. 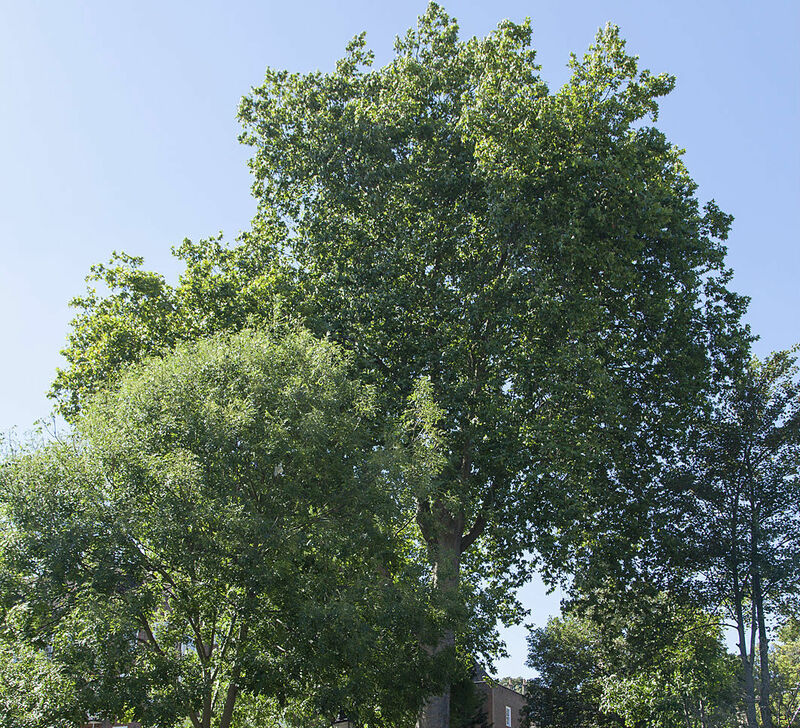 London planes are a hybrid between two different plane species from different continents thought to have originated in Spain in the sixteenth century. They got to London in the seventeenth century and one tree from 1680 is still alive and doing just fine in Barnes. 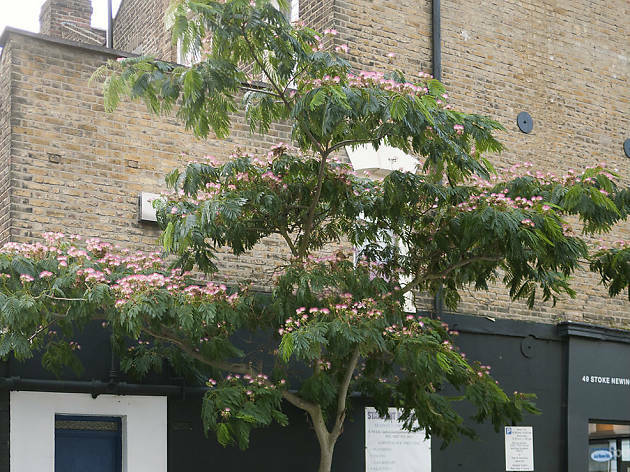 Tree of heaven is a large, attractive tree found in most parts of town, but it is Bermondsey that’s home to some of the finest examples of this tree, Long Lane is notable for some particularly good ones. 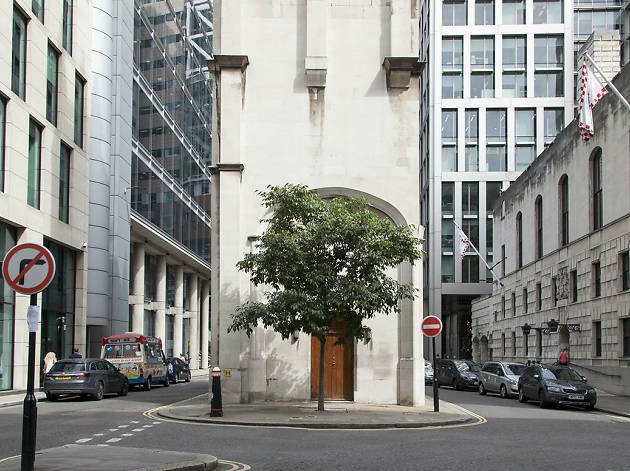 Planting trees of heaven on streets was pioneered in this part of town during the 1920s and ’30s by Ada Salter, the first female mayor in London, who loved this species for its rapid growth, attractive leaves and ability to withstand pollution. But the tree of heaven has a downside: it’s highly invasive and will seed itself wherever it can find a foothold, often popping up in unexpected places. In some parts of the world it is called the tree of hell or the ghetto palm. Don’t worry, it won’t sting you! Nettle trees are unusual, but are now increasingly planted for their ability to thrive in London’s warming environment. This one in the City is surrounded by glass and concrete – not to mention traffic fumes – reflecting heat and deflecting rain water, but despite all this, it is flourishing. Expect to see more of these planted all over town in the coming years. 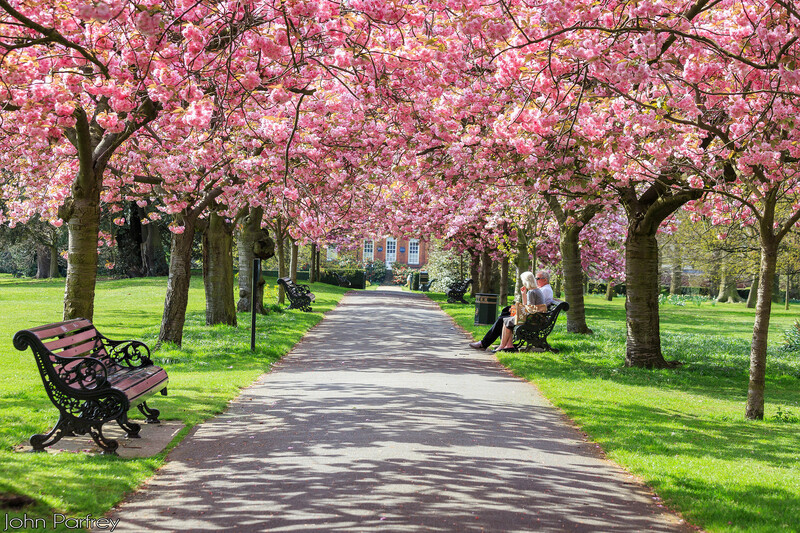 Whatever bit of the capital you’re in, you won’t be too far from one of the city’s amazing major green spaces.